Singaporean fans of Hyun Bin and Jang Dong-Gun, you all are so lucky! This is because Hyun Bin and Jang Dong-Gun will be making Singapore the only destination in the whole world other than Korea for their international junket. This will be Hyun Bin's second time in Singapore. In 2013, he was in the island city to for a meet-and-greet event at Bugis+ mall. For Jang, this is also not his first time in Singapore. He was here in 2005 to promote the Chinese fantasy film 'The Promise' and visited Singapore for vacations as well. At the press conference held at Fullerton Hotel, Hyun Bin and Jang are joined by their director Kim Sung-hoon, well known for his commercially successful film 'Confidential Assignment'. In 'Rampant' Hyun Bin plays Prince Ganglim, who reluctantly returns home following the death of his elder brother and has to assume the responsibility for the throne, which is being threatened by the scheming Minister of War, played by Jang. Hyun Bin shared that one of the biggest reasons he took on the role was to act alongside his best friend Jang. He added that, despite the two of them being in the industry for more than a decade, they did not have an opportunity to act together in the same movie. The pair of hunky actors turned up at Suntec City Mall's North Atrium on Tuesday evening to promote the movie and meet-and-greet their ecstatic fans. 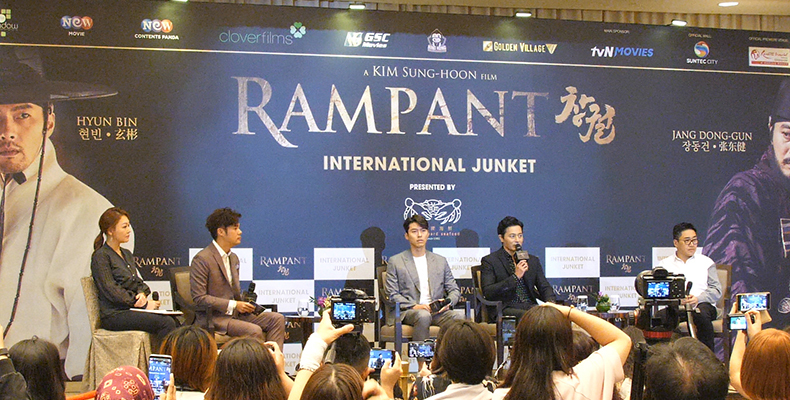 Finally, they concluded their star tour at Resorts World Theatre at Resorts World Sentosa where the Gala Premiere of 'Rampant' was held. Rampant opens on 1 November and is currently showing in cinemas. 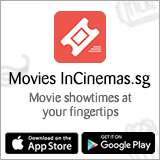 Iceman: The Time Traveler - Preview Screening Giveaway!